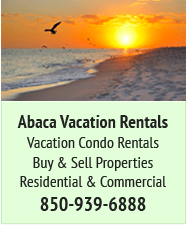 Does Free-Speech (First Amendment) apply to private companies, organizations, online social media, and online forums such as NavarreBeachLife.com? No. US Courts have ruled that the First Amendment applies to the government - to protect individuals from government censorship. While the text of the First Amendment says “Congress shall make no law … abridging the freedom of speech,” it means that no federal, state or local government official can infringe on your free-speech rights. NavarreBeachLife.com Forum a privately owned online organization is not a government or state and therefore is not subject to the requirements of the First Amendment. When you registered on the Forum your membership was granted as a privilege – not a right. However, every effort has always existed to allow normal and even controversial discussions on the Forum. While the administrator and moderators of this forum will attempt to remove or edit any generally objectionable material as quickly as possible, it is impossible to review every message. Therefore you acknowledge that all posts made to these forums express the views and opinions of the author and not the administrators or moderators (except for posts by these people) and hence will not be held liable. You agree not to post any abusive, obscene, vulgar, slanderous, hateful, threatening, taunting, sexually-oriented, spam, religious attack or any other material that may violate any applicable laws. Doing so may lead to you being warned, banned for a period of time or permanently banned. The IP address of all posts is recorded to aid in enforcing these conditions. You agree that the administrator and moderators of this forum have the right to remove, edit, move or close (lock) any topic at any time should they see fit. 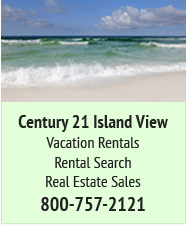 The Forum(s) allows political discussion as long as it pertains to Navarre Beach, Navarre Mainland, Santa Rosa County, Escambia County, and Okaloosa County. 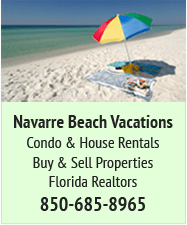 National news including politics should not be posted on the Forum(s) unless it pertains to Navarre Beach and the surrounding areas as mentioned above. 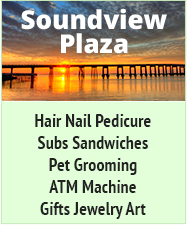 Forum members may post advertising messages as long as the member is a local business of Navarre Beach or the Navarre Mainland. Advertising about any other Florida areas including areas outside the state of Florida will not be allowed and will be considered Spam. 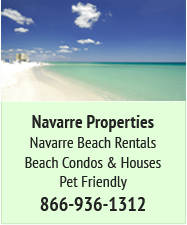 However, if a Forum member that lives outside the Navarre Beach Area, or outside the State of Florida and owns a condo or beach home at Navarre Beach and advertises to rent, or sell their property that is allowed as long as you contact the Administrator or the Moderators for written permission via email or private message. Any other advertising that is not approved in writing will be considered Spam. If you post Spam messages on these Forum’s without prior written permission you will be banned from the Forums. As a Forum member you agree to any information you have entered being stored in a database. While this information will not be disclosed to any third party without your consent the administrator and moderators cannot be held responsible for any hacking attempt that may lead to the data being compromised.